When I ventured into the world of pet blogging, I had no idea what I was really getting myself into or where it would lead me. I could not have predicted that I would reignite my passion for non-profit work and begin my journey into animal rescue or that I would meet (online and in real life) some of the most incredible, dedicated and talented people I’ve ever had the good fortune to know. 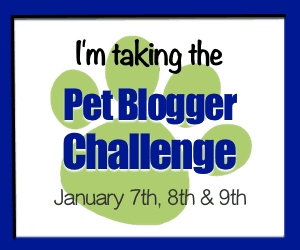 I am so excited to be participating in my first GoPetFriendly Pet Blogger Challenge! It is not only an opportunity to share some (hopefully) interesting information about me and Sarcastic Dog but it is also a wonderful way for readers to learn about some of the incredible pet bloggers out there writing about everything from dogs and beer to pet health and wellness, nutrition and so much more! In 2013, I was asked to be the pet writer for a fledgling Boulder, Colorado online magazine. I wrote several pieces but the project never launched so I had these posts all dressed up with nowhere to go. I was also dealing with some challenges with my rescue dog, Simon, so I decided to start my own blog. I launched Sarcastic Dog but then life took a very different turn and the blog was largely (completely) ignored until last year when I redesigned the site and recommitted to the blog. The tagline–wagging our tails with uninhibited joy–was inspired by Simon, my eternal optimist. Initially, I wanted to share my adventures and challenges with Simon and my older lab, Zora. Then I started fostering puppies, adopted Piper and everything changed. Initially, the plan was to tell funny stories and share resources and cute pictures. My focus has become more about rescue, education and advocacy, particularly in relation to pit bull type dogs. My series on changing the conversation around pit bull type dogs was my proudest blogging moment. Pit bull rescue and advocacy is a subject near and dear to my heart so I was humbled, grateful and proud to have received the response I did to the series. Advocating and educating on behalf of bully breeds will be a continuing theme on Sarcastic Dog. My other proud moment was collaborating with the awesome bloggers A Dog Walks into A Bar, My Life with Dogs PDX, The Broke Dog, The Daily Pip & Denise Gruzensky and more than 20 brands for an extremely successful holiday gift guide and giveaway. Attending the Blog Paws Conference was absolutely the most significant action I took for my blog in 2016. I met and have collaborated with some amazing women as a result of attending the conference and have formed several incredible friendships for which I am grateful. The conference gave me confidence in myself as a blogger and encouraged me to take the next steps in growing my blog. Plus, I got to love on other people’s puppies! There are so many blogs that I enjoy both in and out of the pet blogging world. Kristin Avery of The Daily Pip is both my DIY challenged spirit sister as well as sharing a passion for rescue and advocacy. Carol Bryant from Fidose of Reality provided the tools I needed to make progress with Piper on overcoming her fear of the car. It’s still a work in progress but Carol’s advice and guidance was instrumental in the progress we made. I am constantly inspired by the incredible images Beth Patterson shares on her blog The Daily Dog Tag. I’m pretty open about the good, the bad and the ugly when it comes to my dogs and my life but I don’t think that most of my readers know that I used to sing professionally. I was part of an acoustic duo up in Summit County, Colorado in the early 90s. We did the whole après ski circuit for several years. If you are blogging with integrity and personal focus, blogging is not a competition. We all succeed when we support and encourage one another. Also, collaboration is not only fun but it can be an incredible way to grow your following. Grow my Instagram following and email list, be more consistent with my posts, improve my presence across social platforms and learn to take better pictures. I would also like to become a brand ambassador for one of my favorite brands. Awe, thanks for the lovely comment. Meeting and connecting with all of you was definitely a highlight for me, too! I’m also kind of in awe that you had a baking company because baking for me is kind of like DIY projects – following directions/recipes is hard and I have a long and colorful history of baking mishaps. In terms of time management, here are my thoughts. I just gave the Bryn the same long-winded answer on the very same subject. And now, because it is 5:30 in the morning and I have several hours until the rest of the crew wakes up, I am going to write my Pet Blogger Challenge post, which I totally forgot about until I read your post (and Bryn’s last night). That is great advice and I really appreciate it, though, if you have those winning lottery numbers, feel free to send them my way 😉 So incredibly grateful to have met and connected with you and I look forward to more opportunities to collaborate 🙂 See you in May, if not sooner! LOL When you find the answer to your question, let me know! I’ve been struggling with time a lot lately. I had to resort to posts that I can write relatively quickly. So my main dilemma every time is “what can I write about quickly enough?” I wish I had time for longer, well-researched posts. But for now I don’t. I’m hoping that once I finally get my book out there it might generate SOME revenue which than would allow me more time for improving the book as well as for writing better posts. I’m in the same boat, Jana! I always seem to choose topics that require a significant amount of research, writing and revision time in addition to the time that goes into preparing images and graphics. Best of luck on the book! Let me know when it’s available! I think this is the first time I’ve been to this blog and I love it. I love the simple design, the logo, and the font. I work full time and my blog is nearly a full time job too. What has worked for me is creating work hours that I stick with and my family respects. That’s the only way I can get everything done. Thanks so much for participating in the Challenge, and welcome to the pack! I absolutely love your focus on changing the conversation around pitties – thank you for taking on that mission. I wish I could tell you that there’s a magic formula for growing your blog and staying on top of everything. Honestly, I feel like the best thing is to not over do it, and avoid getting burned out. Blogging is hard work, and focusing too much on where you’re going can take the joy out of the journey. Writing content is the top priority, so focus there first, and then choose one or two social media platforms that help you meet your goals. After that, it’s a matter of time – it takes a while for your blog authority to develop, so be patient and enjoy the ride. I hope that helps, and that 2017 is an amazing year for you! Thanks for the opportunity, Amy! It has been such a fun challenge and I am thrilled to be learning about so many other blogs! I appreciate the reminder to avoid getting burned out. It’s really easy to do and I am not always great on the self-care front. Wishing you the best in 2017! I so wish I had an answer to your time management issue besides getting up earlier each day, haha! I love your advocacy for pit bulls and what you mentioned in your advice to other bloggers. I’m certain Haley would LOVE that ball pit too! I’v bookmarked your site and can’t wait to come back and discover more about you, Zora, Piper and Simon! Thank you for checking out the blog! I look forward to checking out yours as well and I appreciate the feedback on the pit bull advocacy work. Happy 2017 to you and Haley! First, I;m so so grateful I met you at BlogPaws and through the blogger community last year – I feel like I’ve known you for so much longer so I actually think we knew each other in a past life. Second, I cannot believe you were a baker and singer in your past life. Can we please talk more about the bakery? Did you love it?! Your blog posts about pitties are so inspiring and I know they hep change the narrative and the breed needs more people like YOU. Happy New Year my friend! The feeling is so totally mutual, my friend! Such gratitude for having met you at Blog Paws! Sometimes I do miss the bakery. My favorite part was our booth at the Boulder Farmer’s Market. Looking forward to collaborating more with you in 2017! I really loved reading more about you as a person. I’m pretty sure if you can bake like that, you are NOT DIY challenged! I’m also impressed that you can sing, do your dogs enjoy listening to you sing? Do they sing along? I love reading your blog and following you on social media. I was absolutely blown away by your series on Changing the Conversation About Pitbulls. Congrats on a great 2016 and congrats again on being chosen to speak at BlogPaws. You’re one smart cookie so I know it will be great 🙂 I don’t have a secret to cloning yourself, sadly. When I used to work full-time for the government, all I did was go to that job and work on my blog. I would work on it for a couple of hours before work and then a few when I got home. I would spend at least one weekend day working on it too. I think I put around 30 hours a week into it the first few years in addition to my “real” job. I thought I would have more time for it once I made it part of my business but, sadly, I don’t. As you understand, client work almost always comes before my own projects. The good news is that, after a couple of years, the ball was rolling and things were more streamlined so I could ease up on my efforts a bit. Thanks, Jessica! I’m trying to stay on top of things. I think I’m just going to have to overcome not being a morning person so that I can get those morning hours in before starting my client work. This is such a great post! I enjoyed getting to know you better. I met you through the 30 day healthy you healthy dog challenge ( I think that was the name). I think community is the best part of blogging! And since my blog is fashion, dogs and DIY I can say that the dog blogging community is definitely the easiest to make friends in! How did you get involved in this challenge? I feel like I always see you participating in fun stuff like this! I would love to get in the loop. What a wonderful post! Thanks for sharing your story. As a new blogger, it’s inspiring for me to read about your journey, your joys, and your passions. Also, congratulations on being selected as a BlogPaws Nose-to-Nose finalist. Wishing you all the best! Hello Alison, It’s a wonderful blog that you have shared with me. It’s an inspiration for me to read about your journey, your joys, and your passions. Thanks for sharing your wonderful story.